Kauai may not be the most popular island in Hawaii, but it certainly is up there in the top three. However, what makes Kauai the most appealing is the island’s abundance of natural beauty. In case you have not visited Kauai or even Hawaii yet for some reason, here are five reasons as to why you need to do so soon. 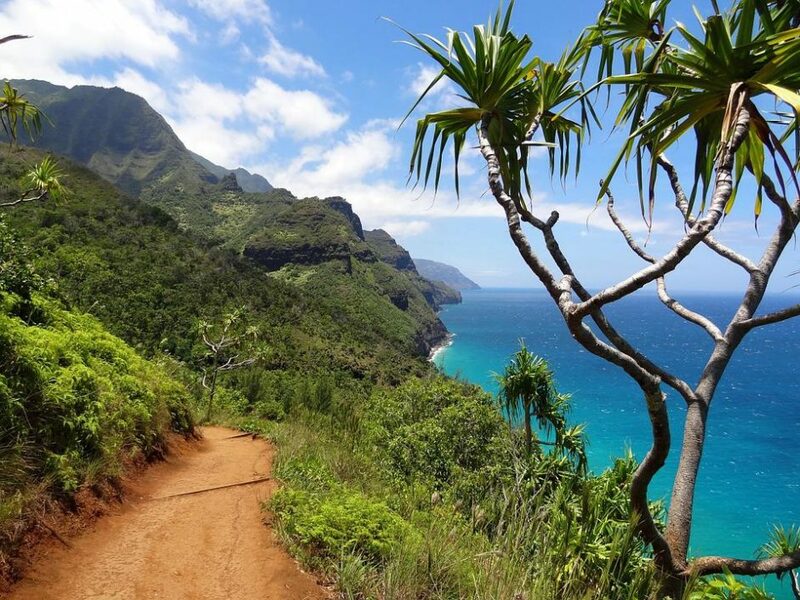 If you are a trekking or hiking enthusiast, you have probably already heard about the Kalalau Trail as one of the most beautiful and challenging hiking trails in Hawaii and it does live up to those expectations. The 11-mile long hike will take you through majestic cliffs, lonely beaches and some natural views of the island at the backdrop of the cliffs and the sea, that are the stuff of dreams for nature enthusiasts and photographers. More a beach for the families, what makes Hanalei Bay unique are the green cliffs that surrounds the place, giving it a sense of privacy and seclusion from the rest of the world. It’s also a popular spot for surfers, and while the sunset from the beach is nothing short of stunning, surfers claim that the view from the water is even more grand. It is believed that none of the main islands of the Hawaiian state are older than Kauai and geologists have confirmed that to be a fact. The island is quite literally millions of years old (5 million to be exact) and instead of visiting manmade museums to experience some of the history, you will be able to enter the ancient Makauwahi Cave and see things for yourself, just as nature left it. The cave is a historical and geological wonder where scientists have found bones and remains of extinct animals and plants that died off thousands, if not millions of years ago. Being one of the most popular attractions, the Na Pali coastline probably needs no introduction, but for those who are not familiar with the place or what it offers, know that the coastline here is almost cinematically beautiful and the view from any of the beaches or cliffs is a stunning amalgamation of colors. Helicopter tours are available and kayaking is both allowed and recommended. Admittedly, waterfalls are a common site on most Hawaiian Islands, but it’s different on Mount Waialeale because of the sheer number of waterfalls that roar down from top of the cliff and go down into the Blue Hole canyon that’s hundreds of feet deep and has steep 3,000-feet tall cliffs surrounding it. You can even trek down into the Blue Hole if you want and that’s an adventure by itself. As Kauai is a tourist hotspot, it is advisable to book your flight tickets and hotel in advance from Panda Online. It will ensure that you don’t waste any of your valuable vacation time hunting for hotels after reaching the island, as well as saving you some money on the flight tickets. After all, there’s just so much to see on Kauai and most people hardly have enough time to see things properly. A Florida Car Hire Adventure to Remember! Posted in USA and tagged with hawaii, travel. RSS 2.0 feed.